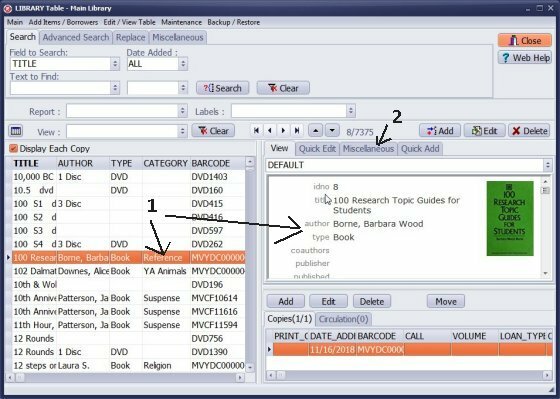 ﻿ Handy Library Manager: how to create a new library record from the existing entry. Help, how to topics > Add Data > How to create a new record using Copy Selected Item? 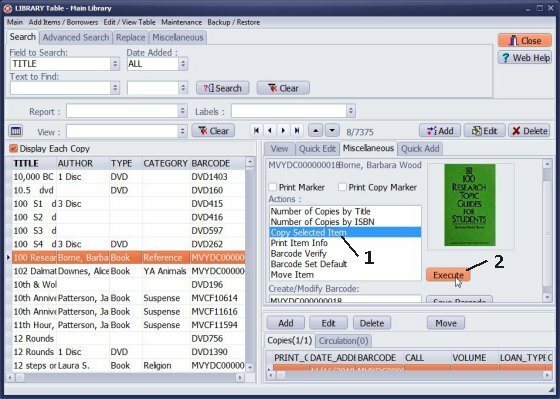 If you have several similar books written by the same author and published by the same publisher you don't have to create all items separately repeating data entries. 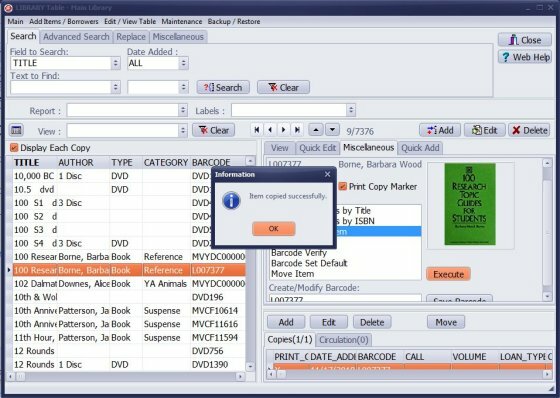 In these situations use the Copy Selected Item command. 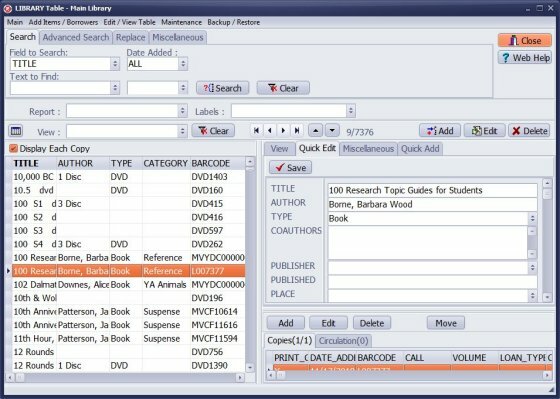 Search the library catalogue for a record that you would like to copy (1). Select the item and click on the Miscellaneous tab (2). In the Actions box select Copy Selected Item (1) and click Execute (2). A new record in the catalog is created. Review message in the Information window. The new record will be selected and ready for editing (for example TITLE change). Click Edit or Quick Edit to modify data. Warning: On the grid the new record will be listed according to the sort. If the sort is by ID number then the new record will be listed at the end of the table.